THE Zimbabwe Broadcasting Corporation says it has allocated airtime to all participating political parties as stipulated by the law and warned it will forfeit airtime not utilised by political parties. In a statement, ZBC chief executive officer Mr Patrick Mavhura said the national broadcaster had taken neccessary steps as prescribed by the Constitution. “Secondly, the ZBC News and Current Affairs Department has increased the daily coverage of various political parties activities which are broadcast on radio and television news bulletins. 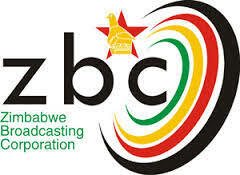 Mr Mavhura said the ZBC had since allocated airtime to all participating political parties. “Accordingly, ZBC has since allocated airtime to all participating political parties as stipulated by the law. “However, I would like to inform political parties who have not heeded the call to bring in their political advertisements that airtime which is not utilised will be forfeited. He said political parties must declare their position on political advertisements. “It is critical for political parties to declare their position on political advertisements so that the national broadcaster is made aware if they will take up their airtime, and when they will take it up. “Failure to comply with this will result in the airtime being forfeited,” said Mr Mavhura.